Inspired by Asian philosophies of life, QI, the 5-piece bowl set, really gives a new definition in terms of surface and touch-and-feel. The silky-lustrous optical effect of the smooth inside surface is achieved by using a special ceramic glazing featuring a subtle cyan hue that was transferred, for the first time, onto the porcelain form created in 2003. As a counterpoint, the unglazed exterior of the bowls is polished allowing for that special velvety touch. 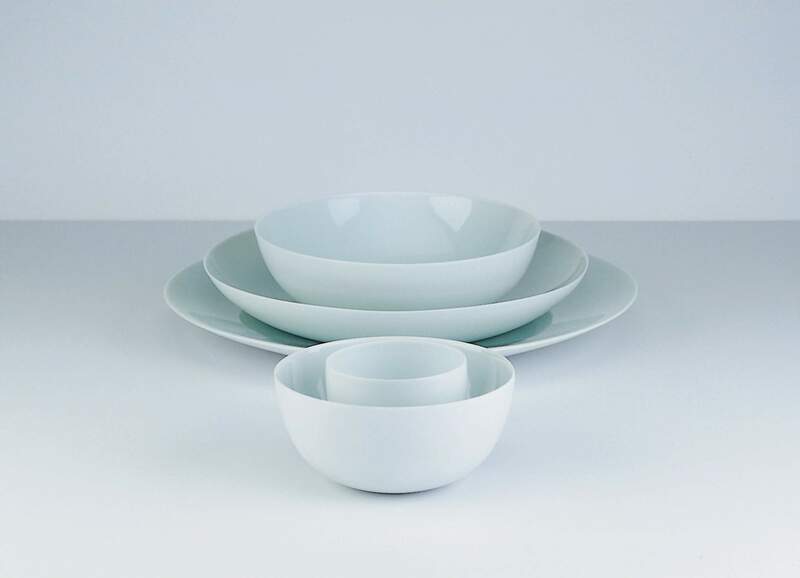 In March 2003, the set of bowls by Kap-Sun Hwang was awarded the “red dot: best of the best” for the highest design quality. Through the proportions of the five individual bowls of QI which are synchronized exactly with each other, the set QI deliberately reminds one of slowly opening petals of a water lily - the symbol for vitality and purity. 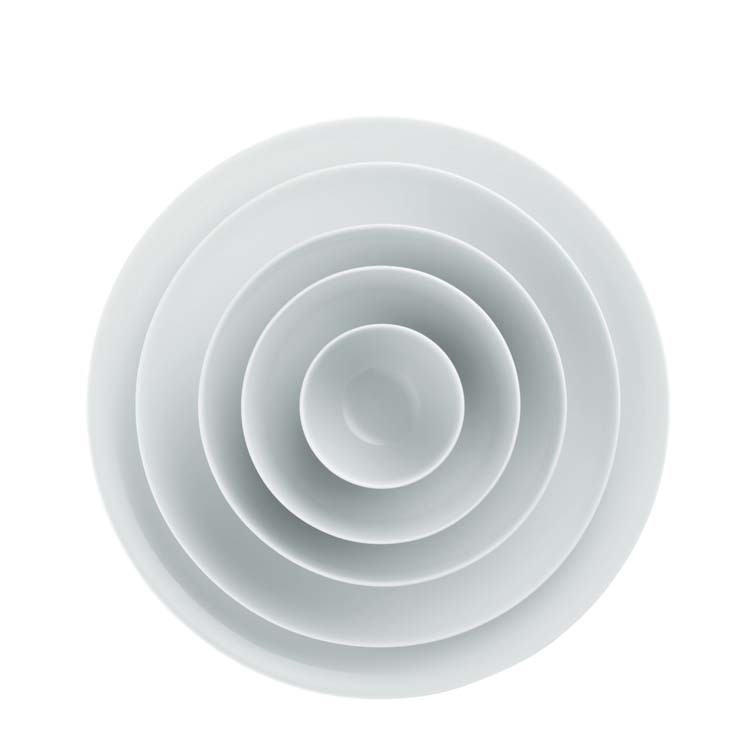 Intended for tea and dips, the smallest bowl of QI forms the center and is bordered with a delicate relief line. With QI, the Porzellanmanufaktur FÜRSTENBERG and Kap-Sun Hwang are redefining the concept of texture and haptics and are treading a unique new path of surface design: The silky-shimmering effect on the smooth inner surfaces of all items of QI is created by a special glaze in delicate celadon. 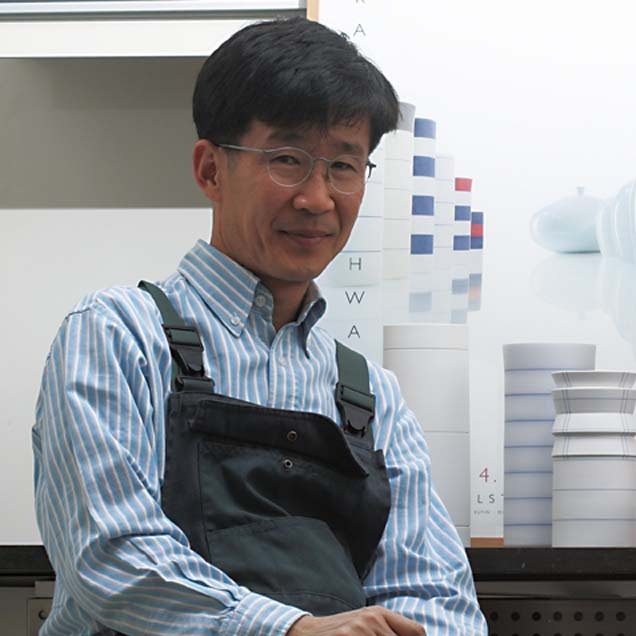 Hwang's ceramic pottery skills have brought this quality to porcelain for the very first time. 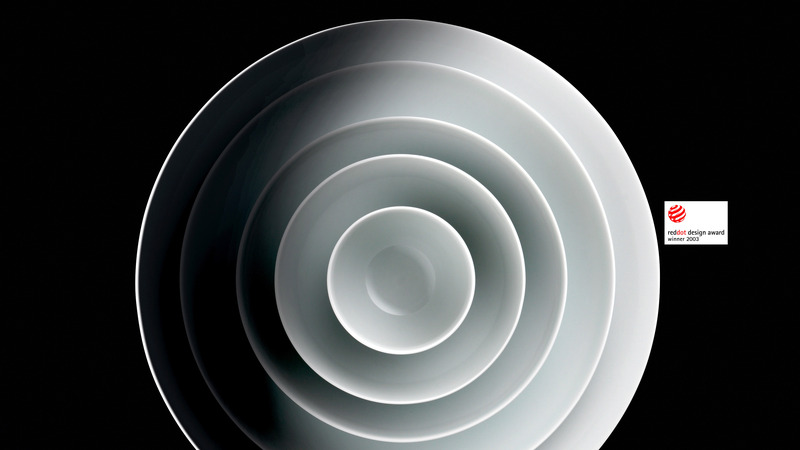 The unglazed exterior surfaces of the bowls of QI, which are individually polished by hand, create a counterpoint.